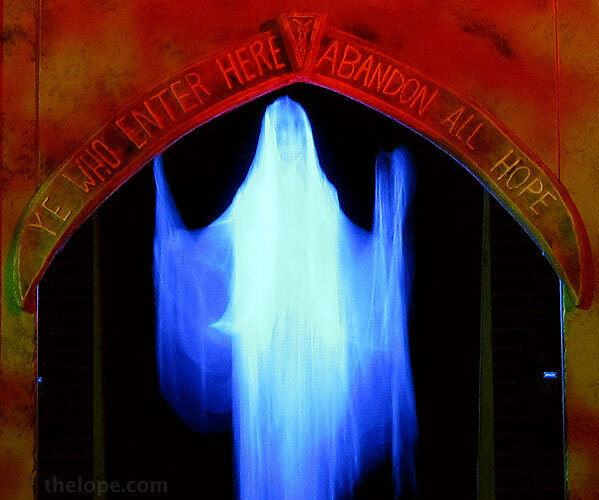 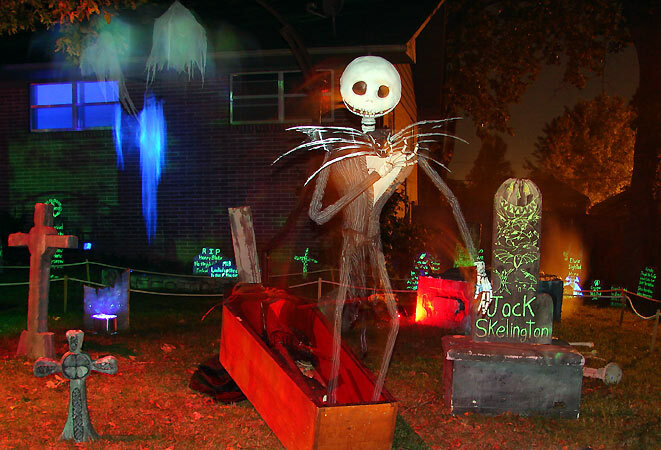 For the past few years Joplin, Missouri, has been haunted by a cool and customized Halloween yard of Dan and Marian Goepfert, 2828 South Wall Street. 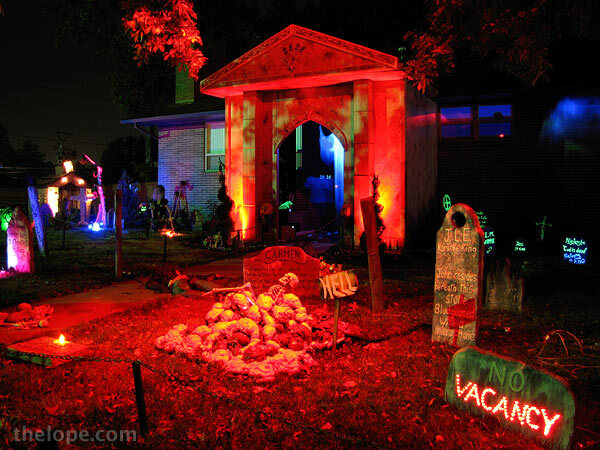 This past May 22, the Joplin tornado damaged the Goepfert's home. 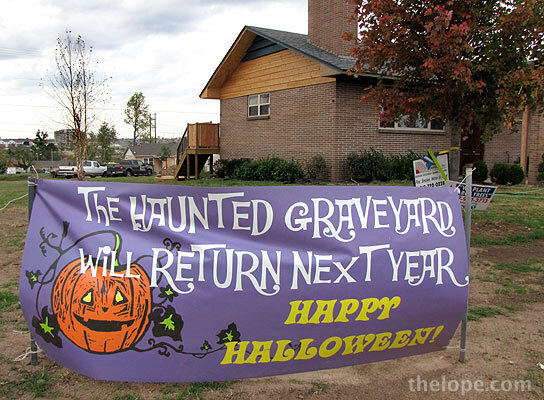 This banner at the edge of the property promises the Haunted Graveyard will resume next year.